244 pages | 38 B/W Illus. Maike Sarah Reinerth is a Research Associate for Media and Communication Studies at the University of Hamburg, Germany. Research interests include representations of subjectivity (Ph.D. project), cognitive film theory, and animation studies. Her most recent publication is "Metaphors of the Mind in Film: A Cognitive-Cultural Perspective" (Embodied Metaphors in Film, Television, and Video Games, 2016). Jan-Noël Thon is a Postdoctoral Research Associate at the Department of Media Studies of the University of Tuebingen, Germany. Research interests include film studies, television studies, comics studies, game studies, transmedial narratology, media convergence, and post/documentary in digital media culture. 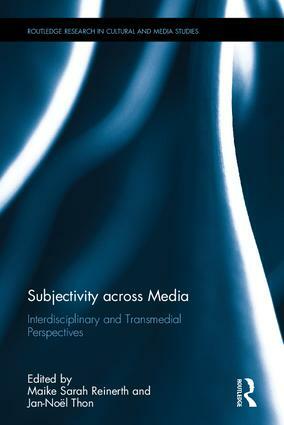 He has published widely in these areas, most recently Transmedial Narratology and Contemporary Media Culture (2016).